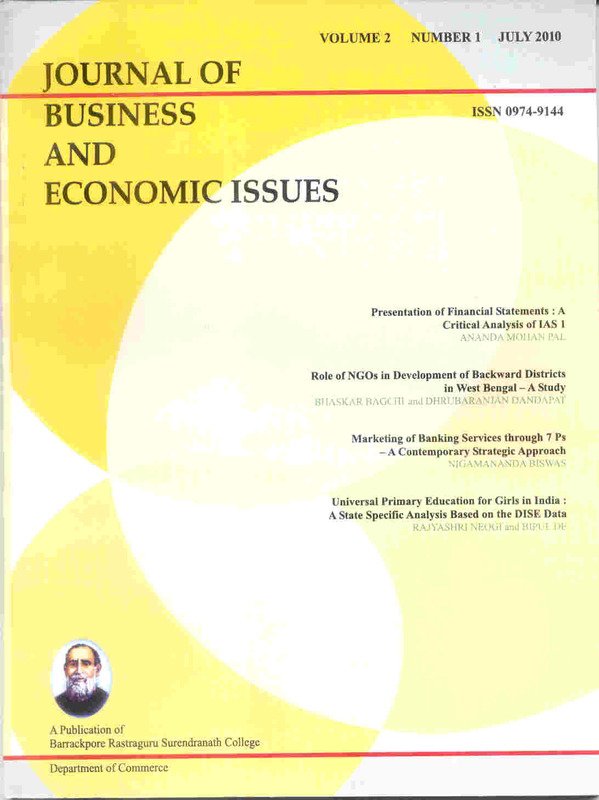 We are pleased to present the Journal of Business and Economic Issues (a UGC enlisted Journal vide Sl. No. 6484 & Journal No. 49126 in Broad Subject Category Multidisciplinary : Social Science). This is a refereed academic journal, publishing research articles in the field of Management & Accounting (All), Economics, Economatrics & Finance (All), Business & International Management, Business, and allied areas. The main objective of JBEI is to provide an intellectual platform for Indian scholars, a platform in which research in alternative paradigms of business and economic inquiry could be presented and debated. JBEI also aims to promote interdisciplinary studies over the issues of theoretical, practical and empirical importance in dealing with problems in business and economics. JBEI welcomes not only Indian authors, but also authors from all over the world. JBEI promotes the cooperation and communication among the academics and practitioners interested in Indian and world business and economics. In the current issue (14th & 15th), manuscripts have already been received for consideration from different authors. To ensure the quality of the Journal a blind review process has been followed and four articles are chosen for publication. Journal of Business and Economic Issues (JBEI) announces Call for Papers for its Vloume VII (Fortheenth & Fifteenth) issue to be published in July & December 2017 respectively. JBEI is a refereed academic journal, publishing research articles in the field of Management & Accounting (All), Economics, Economatrics & Finance (All), Business & International Management, Business, and allied areas. Submitted papers should not have been previously published nor be currently under consideration for publication at another journal. All papers are refereed through a peer review process. A guide for authors and other relevant information for submitting papers are available on the Author Guidelines .